Close-up view of the forward fuselage. 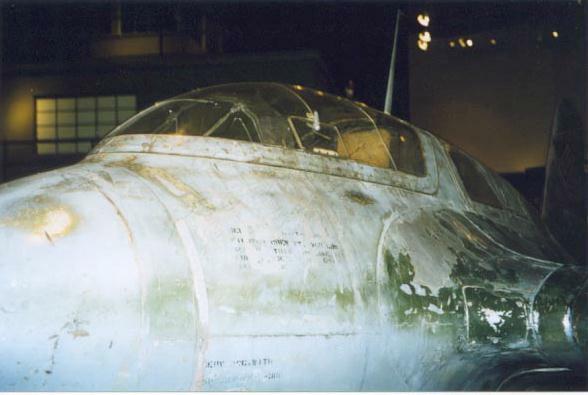 Remains of (US applied) stenciling are visible on the nose. The 30 mm guin muzzle is blanked off with a plate. Note the tan headrest inside the cockpit.